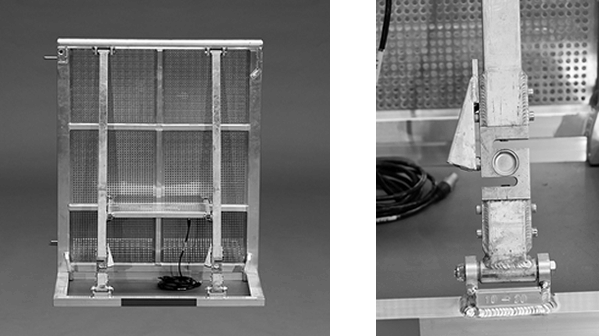 The Barrier Load Monitor System (BLMS) has been developed by Mojo Barriers to quantify and record the crowd pressure exerted on a barrier system in real time. By using pressure sensors on specific barrier sections ,it measures crowd pressure and dynamic loading. As a result of the knowledge acquired about the actual pressure applied by the crowds, potential health and safety issues can be addressed earlier, and barrier configuration and even site layouts redesigned for subsequent events. The system determines ‘hotspots’ in audience pressure that potentially allows crowd management teams to plan and react swiftly to situations as they develop. Sensors are linked to on-site computers with proprietary software that show pressure readings in real time, while also recording them for subsequent analysis and academic research. The “sensor” units can be placed adjacent to but also as single modules spread throughout the entire barrier design. It is a self supporting system which only needs one Mojo Barriers operator for installations and operating. BLMS has amongst others been used by the Lowlands, Roskilde, Leeds, Reading and Rock Werchter festivals with great success. No additional equipment as the sensors are built into straight barrier section.